One of the best-known sculptresses from East Europe is probably Magdalena Abakanowicz. For more than five decades she devotedly produced conceptually outstanding and visually exquisite works which tackled different aspects of social and political reality. As a matter of fact, the artist constructed a concise practice centered on the anthropomorphism mostly expressed in the form of a group of the beheaded figures. In order to understand better her entire oeuvre, it is important to underline the socio-political context of her native country Poland. Namely, Magdalena Abakanowicz started developing her career during the 1950s while socialist realism was nationally accepted matrix, and any other approach was undesirable and could have been easily censored. Nevertheless, the artist subtly started constructing her aesthetic by exploring the flora which was not considered subversive at the time, so that in the following years she inserted more and more references concerning daily politics which coincided with the dramatic social and cultural shift in Poland caused by a softening of a conservative political climate. 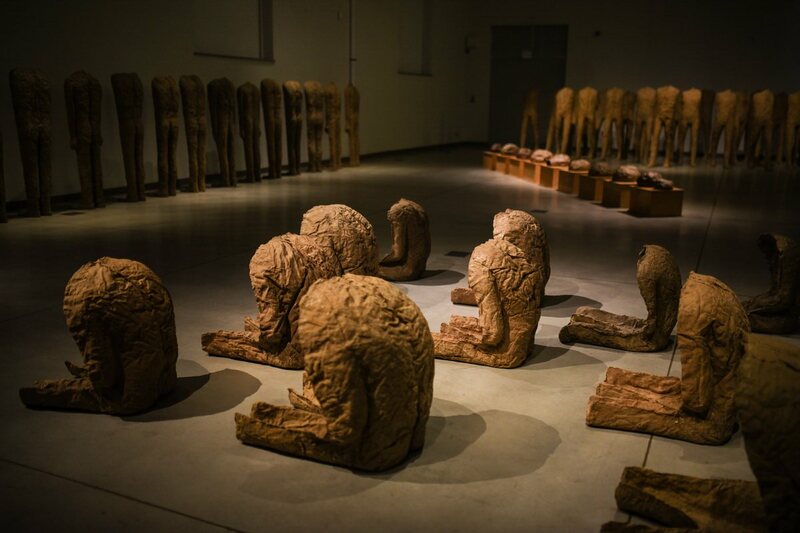 In order to determine the importance and the domains of her impressive work, the “Former Mine” Science and Art Centre in Wałbrzych decided to release an exhibition of this renown Polish artist simply titled Magdalena Abakanowicz: Presence, Essence, Identity. The second retrospective of her work is curated by Maria Rus Bojan and it will feature a fascinating number of sculptures made in the period from the early 1970s until the end of the first decade of the 21st century. Magdalena Abakanowicz was born in a landowner family in Falenty, Poland. Her mother came from old Polish nobility, while her father came from a Polonized Tatar family which fled Russia to the newly independent Poland after the October Revolution. At the age of nine, Nazi Germany invaded and occupied Poland, so during the war, Abakanowicz’s family lived in Warsaw suburbia. The end of WW II resulted in the Soviet Union occupying the country, so the family once again moved to the small city of Tczew near Gdańsk. Out there Abakanowicz completed part of her high school education and was then sent to Gdynia for two additional years of art school. In 1949 she started attending the Academy of Fine Arts in Gdańsk, and a year later Magdalena Abakanowicz moved back to Warsaw and began studying at the Academy of Fine Arts there. During the studies, she took textile design classes and learned the art of weaving, screen printing, and fiber design, which reflected on her later practice. I liked to draw, seeking the form by placing lines, one next to the other. The professor would come with an eraser in his hand and rub out every unnecessary line on my drawing, leaving a thin, dry contour. I hated him for it. Despite all the difficulties, Magdalena Abakanowicz became internationally recognized during the 1960s mostly because of her innovative and experimental approach to the use of artistic fabric. The artist managed to change the traditional notion of sculpture by introducing series titled Abakans, liquid structures woven from organic materials, which revealed complex visual and tactile sensations. This exhibition is actually a continuation of the research started with the exhibition Effigies of Life, A Tribute to Magdalena Abakanowicz from 2017 which was curated by Mariusz Hermansdorfer and Maria Rus Bojan. For this edition, a coherent survey of the artist’s several decades-long practice is prepared by focusing on recurrent themes such as identity and dissimilarity, destruction and resurrection, and freedom and loss. The idea of a comprehensive overview of the artist’s creative visions was based on meticulous analyzes of key works from all stages of her career. 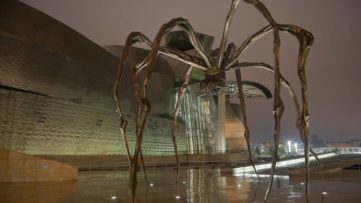 The installment will be conducted of more than one hundred sculptures which will provide a deep insight in the motifs, desires, and troubles behind Abakanowicz’s creative process. 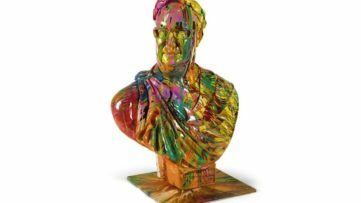 Undoubtedly, this artist revolutionized the history of sculpture by constantly engaging in new ventures, which was probably enforced by the (conservative) surrounding. Therefore, the post-industrial setting of the former mine offers a perfect setting for her strange, stiff, and bold critically charged works. 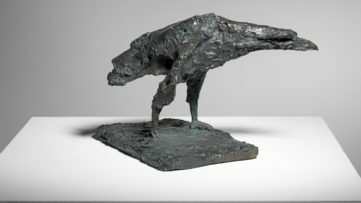 Finally, the artist employed her greatest efforts to explore the humanity and its ambiguity, the glory, and decadence in order to translate her awareness of the essence of things into the unique sculptural language. Her work somehow resist categorization and is quite unconventional if perceived from the Western perspective. Regardless of the usual preconceptions about Abakanowicz’s works as a result of the repressive system, they should be looked as universal attempts of questioning the very nature and meaning of creation (of human life). The exhibition was successfully produced by Old Mine Science and Art Center, Magdalena Mielnicka and the All That Art Foundation! 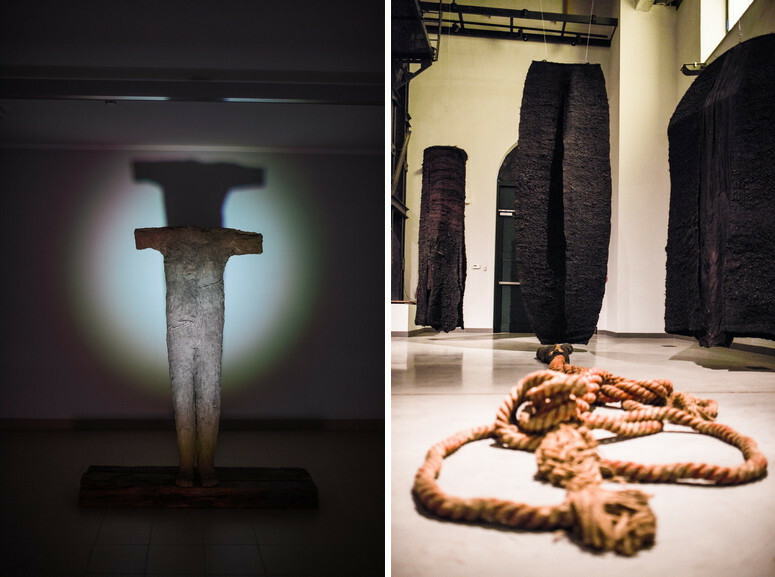 in Wroclaw in cooperation with Studio Magdalena Abakanowicz in Warsaw, and it would not be possible without the loans from the private collection of the artist, the collection of Irmina Nazar and Artur Trawiński, the MARe collection, and the collection NOWA 20_21. 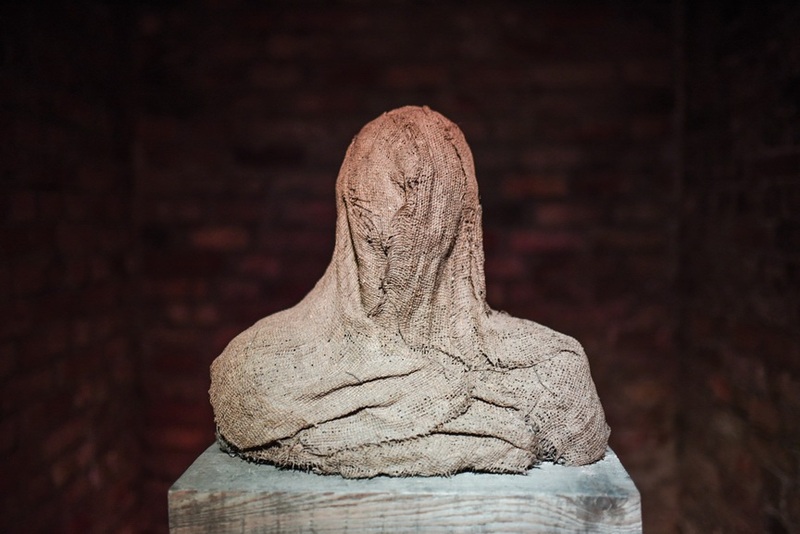 Magdalena Abakanowicz: Presence, Essence, Identity will be on display at Stara Kopalnia Science and Art Centre in Wałbrzych in Poland until 30 Decembre 2018. 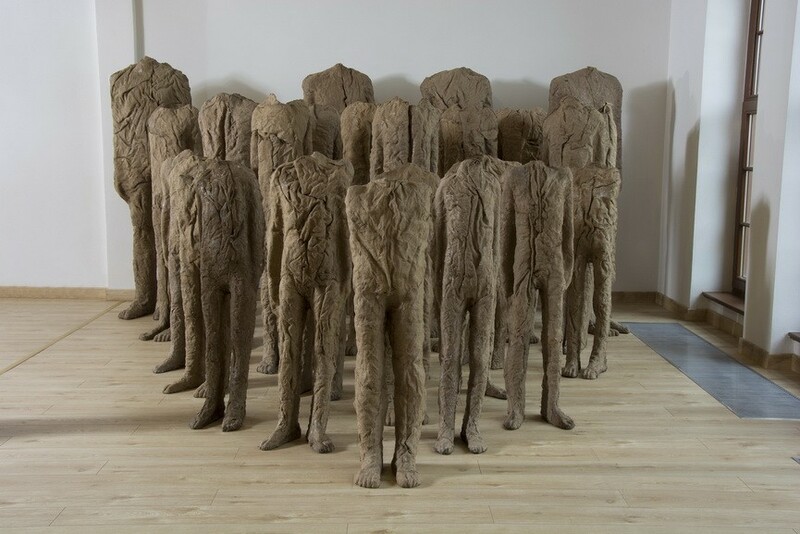 Featured image: Magdelena Abakanowicz – Untitled group of 20 figures (1990-2000), burlap and resin. Image courtesy of the artists estate. 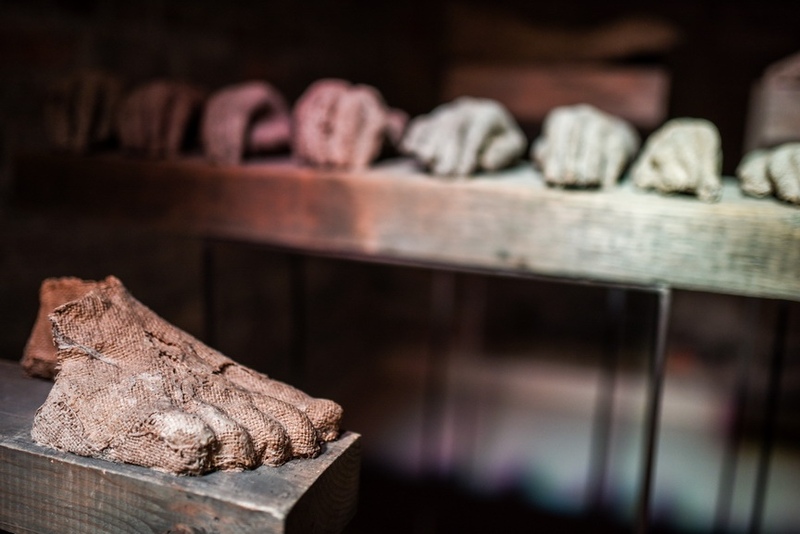 Photo by Stanisław Sielicki; Magdalena Abakanowicz – Presence, Essence, Identity at Stara Kopalnia, Installation view Wałbrzych, Poland. Photo by Linda Parys.